The key to healthy skin is Simple, Natural, and Direct Nutrition! 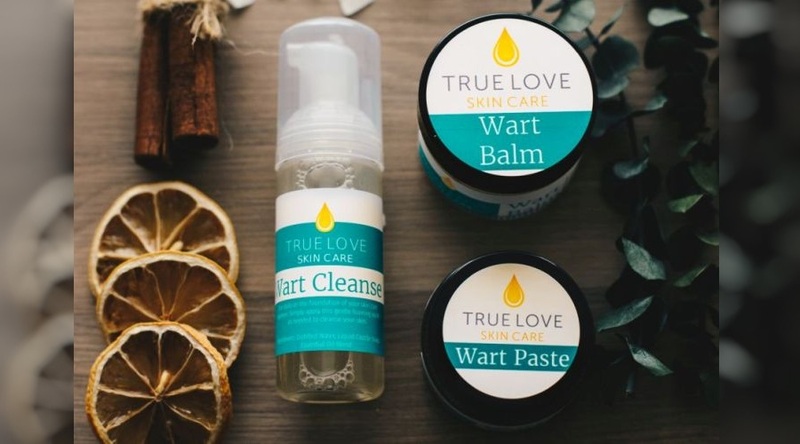 And like all True Love products, the Wart Pack is 100% All-Natural nutrition for your skin! And when your skin’s nourished, it can do amazing things! We’ve taken our famous Wart Paste, and added two more incredible products to create a morning-to-night system for healthy skin. For Wart Balm, we took our amazing Nourishing Balm and fortified it with even more anti-viral essential oils. Use daily to soften the wart(s), and to soothe the pain and itch often associated with warts. Often when fighting warts, a common reaction is to see the warts spread. So we created anti-viral Wart Cleanse to help reduce this. Simply use as a replacement for your regular soap while using the Wart Pack. You hate warts, we hate warts! Don’t give warts a chance! Try the Wart Pack today! Wart Paste – Simple, Natural, & Direct Nutrition for healthy skin. Wart Balm – Soften, soothe, nourish, and protect damaged skin. Wart Cleanse – a natural, mild, anti-viral soap to help stop the spread of the HPV virus.